The light was nearly gone when this northbound freight came off the Los Angeles & Salt Lake wye to join the UP's former Oregon Short Line to Ogden, led bywow!a DDA40X! Also known as the Centennial diesels, these monsters were introduced in 1969 and could generate 6600 horsepower. 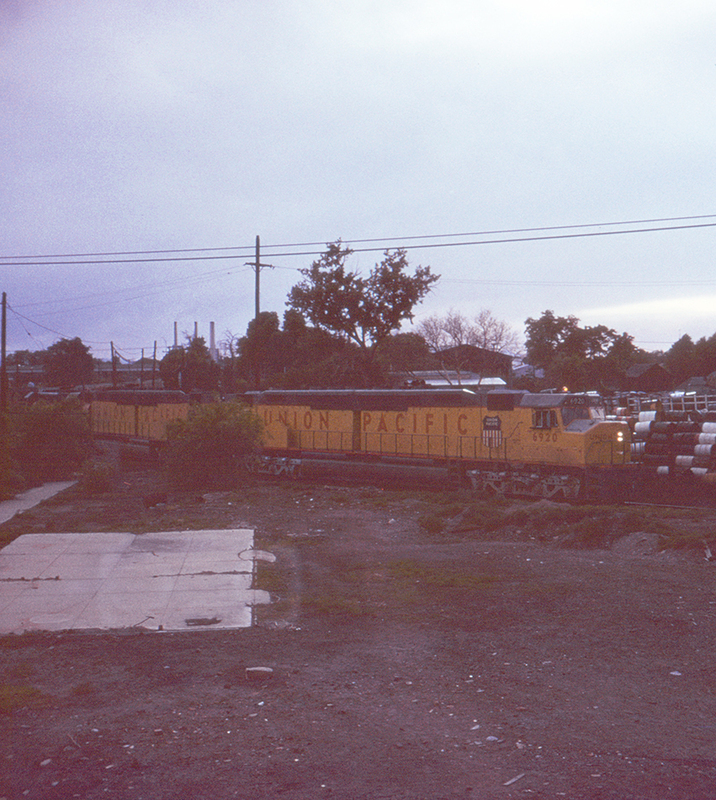 It's hard to tell in the fading light, but that unit behind the DDA40X (no. 6920) appears to be a DD35A, the 5000 horsepower predecessor to the Centennial. Shot from the footbridge at Grant Tower west of the UP's Salt Lake City depot.